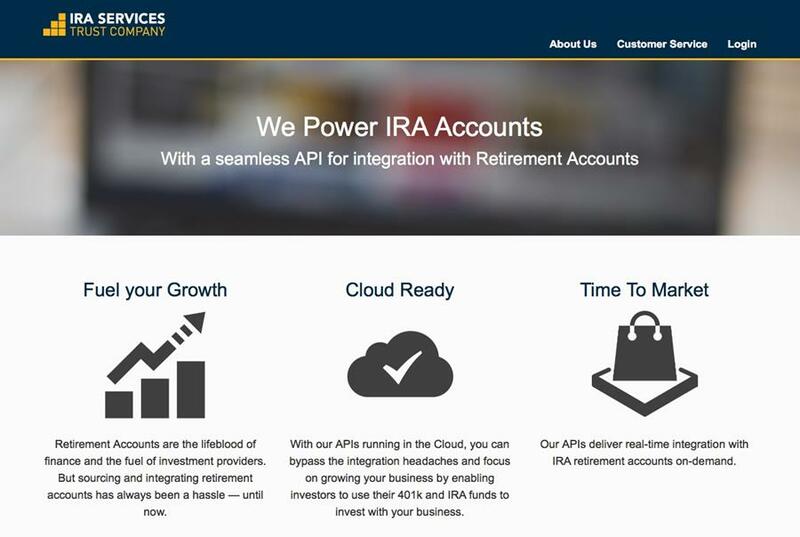 San Carlos, CA -- (April 6, 2016) – IRA Services, the leading provider in custodial trust solutions for non-exchange traded investing, is pleased to announce that it will be unveiling the ISCP™, the first and only real-time cloud-based API driven retirement investment solution for the P2P industry, at LendIt 2016, the world’s largest conference connecting the global online lending community taking place on April 11-12 at the San Francisco Marriott Marquis. The ISCP ™ allows real-time access to over $12 trillion dollars of capital for the P2P industry by providing platform investors with the ability to effortlessly fund their P2P and Crowdfunding investments through their 401(k) and IRA accounts. Since the inception of online lending, P2P platforms have had to rely on outdated Self-Directed IRA (“SDIRA”) paper-based processes and infrastructure. P2P platforms have grown increasingly frustrated in their inability to offer retail customers a simple and cost-effective way to purchase notes using 401(k) and IRA retirement accounts. This lack of automation and integration not only hinders a P2P platform’s ability to scale, it prevents retail investors from maximizing the benefits of tax-deferred P2P investing, such as stronger risk adjusted retirement returns. As the industry’s first hi-tech retirement investment solution which replaces antiquated legacy systems with a highly-secure web services interface between the trust custodian and the online finance platform, the ISCP™ resolves these deficiencies allowing for a seamless, real-time, inexpensive, painless, and easy to use investment experience. LendIt attendees will have an opportunity to experience the functionality first hand by visiting booth number 806 at LendIt’s exhibit hall. The IRA Services team will also be available for private meetings and demonstrations. In addition to sponsoring and exhibiting, IRA Services Chief Strategy Officer, Todd Yancey, will be delivering an illuminating presentation on Tuesday, April 12th from 2 to 230pm PST that will highlight how the shortcomings in current SDIRA infrastructure has resulted in significant investment loss to online lending platforms, and how – through advanced cloud-based API technology – these platforms will now be able to access 12 times more capital by leveraging 401(k) and IRA accounts. With over $6 billion in assets, IRA Services Trust Company has a 37-year history of specializing in custodial trust solutions for non-exchange traded assets. Today, IRA Services is emerging as the leading innovator of hi-tech SDIRA solutions. The company’s recently introduced ISCP™ is the first scalable, bank-grade secure, cloud-based retirement investment solution for the next-generation of P2P and Crowdfunding investing. By providing an SDIRA integration solution that finally allows financial platforms to seamlessly transact real-time investments from 401(k) and IRA accounts, IRA Services is enabling peer lending and equities crowdfund platforms, as well as traditional financial services providers with the ability to significantly grow their retail account base and increase assets under management. Additional information can be found at https://www.iraservicestrust.com/. 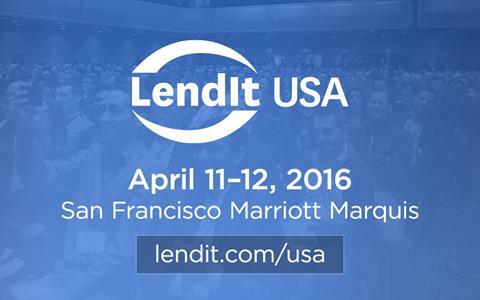 LendIt is the largest conference series dedicated to connecting the global online lending community. Our conferences bring together the leading lending platforms, investors, and service providers in our industry for unparalleled educational, networking, and business development opportunities. LendIt hosts three conferences annually: our flagship conference LendIt USA, as well as LendIt Europe in London and LendIt China in Shanghai. 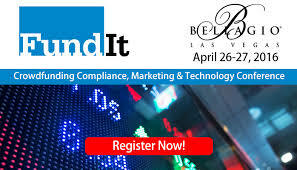 Visit www.lendit.com for further information. Will FinTech Disrupt the $100 Billion Self-Directed IRA Industry?